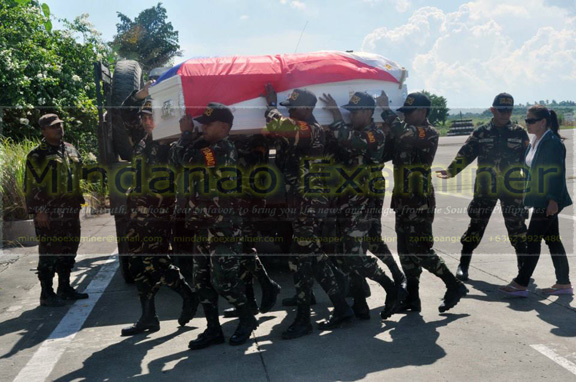 DAVAO CITY (Mindanao Examiner / Oct. 21, 2011) – The Philippine military honored Friday four soldiers who were among 19 killed in fierce fighting with Muslim rebels in the southern province of Basilan, officials said. 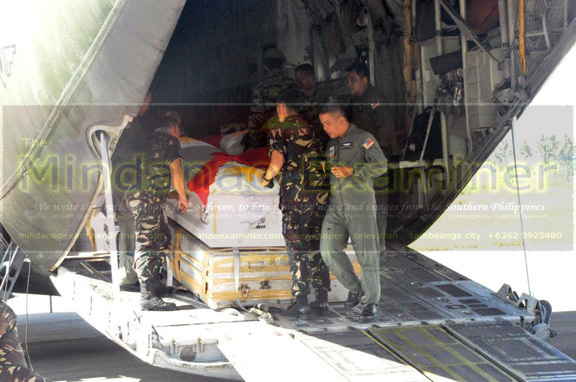 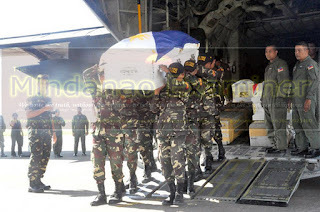 A militar cargo plane transported the flag-draped caskets containing the bodies in Davao City and where their grieving families were waiting. The slain soldiers were identified as First Lieutenant Frank Junder Camilos, of Cagayan de Oro City; Sergeants Bonifacio Mabalot, of Tagum City and Ronald Santa Rita; Privates First Class Jordan Magno, Erwin Dequito, of North Cotabato, and Private Gary Colonia, of South Cotabato. 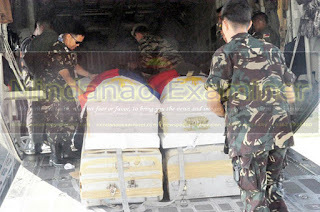 The rest of the bodies were flown to Manila. 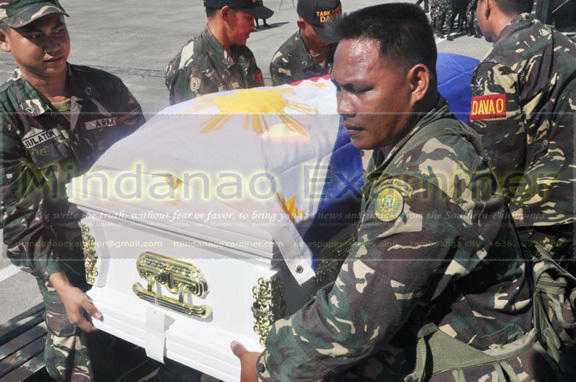 “We join the families of soldiers who sacrificed their lives for peace in this grieving moment,” said Lieutenant Colonel Lyndon Paniza, a spokesman for the 10th Infantry Division.